It coincides with the 12th Malaysia International Halal Showcase (MIHAS) 2015 which took place in Kuala Lumpur. Speaking from Kuala Lumpur, Alan Winde, Minister of Economic Opportunities, welcomed the agreement. 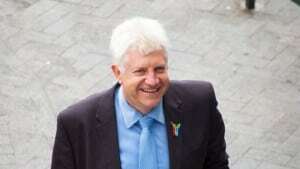 Winde will officiate the signing of the agreement. During his stay in Malaysia, Winde received presentations on the value of halal food parks in light of the growth of the sector, which is currently valued at over US$2.3tn. The Western Cape is seeking to capture its share of this market, specifically in Africa. The parks are clusters of manufacturing and service firms in the halal industry. The development of specialised food parks are one of the possible levers to increase the size of the Western Cape’s agri-processing sector.